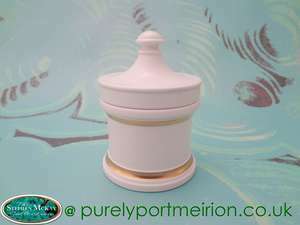 Portmeirion Vintage Dolphin 12oz Apothecary Jar, Coffee, by Susan Williams-Ellis. 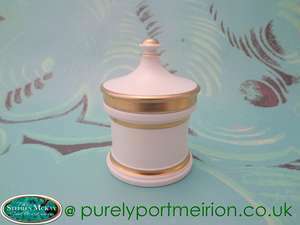 This apothecary jar is in the Celadon colourway with gold gilding. 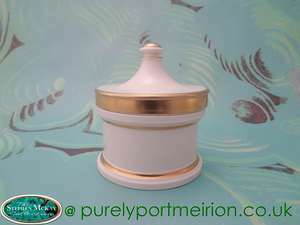 This is a stunning looking apothecary jar, and would be an excellent Dolphin item to add to your collection. 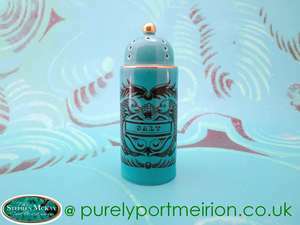 The jar carries the Portmeirion Dolphin backstamp. 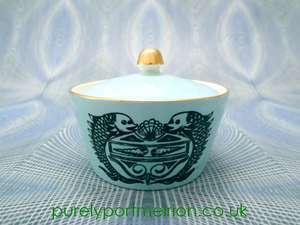 There are a few brown marks inside, a small chip inside the lid, and minor age related crazing. 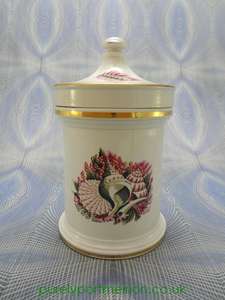 There is also a chip/crack on the lid lip, please see all the photographs. 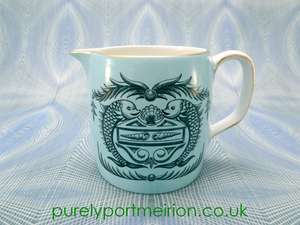 The Dolphin design was initially produced by Gray's exclusively for the Portmeirion shops. 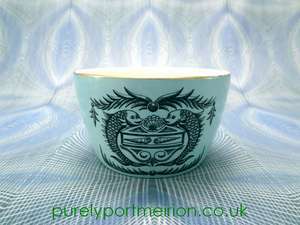 This design in all it's colours would easily harmonise with any kitchen colour scheme. 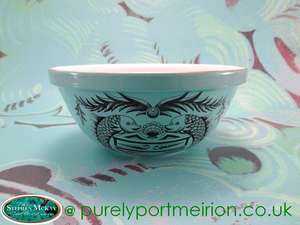 The design consists of an architectural type pediment motif in the centre, with a stylised dolphin either side. 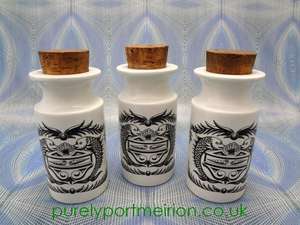 The very centre can either contain shells or text. 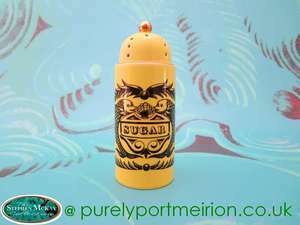 The entire motif is then surrounded by stylised swags of leaves or possibly seaweed knowing Susan's love of marine life. 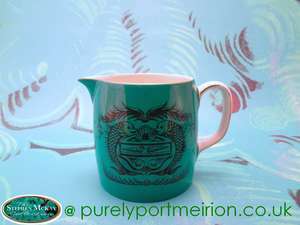 The Dolphin range was produced in lime, grey, orange, dark green, lavender, turquoise and pink on various shapes and items. 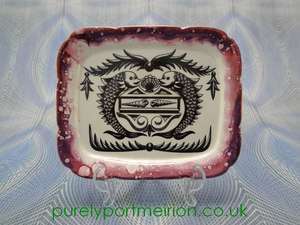 Very early items were produced with the sumptuous Sunderland-style pink lustre and carry the Gray's clipper backstamp. 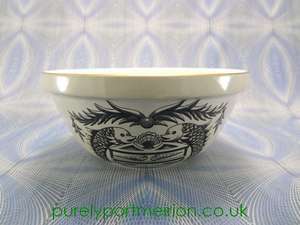 The design probably ceased production by 1968 and has become one of the most collectable designs today. 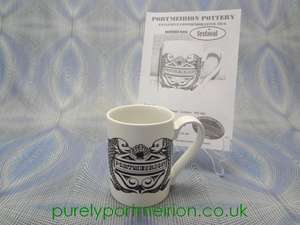 A must for any Portmeirion collector.